The 10 Best Markets in Wisconsin! Supporting local businesses is an excellent way to show you care about your local community. Independent grocers throughout Wisconsin bring fresh produce, fresh bread, and other locally-sourced goods. Next time you’re looking to prepare a meal, skip the grocery store and head to your local markets! Here are the 10 best in the state. 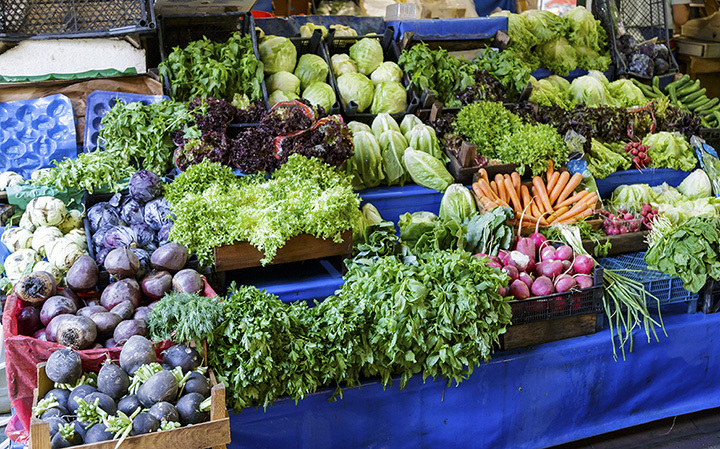 Located in Wisconsin Dells, Maurer’s Market is your spot for fresh produce. They stock the shelves with food that the community members want to buy. Maurer’s Market have three core values surrounding providing better service, Wisconsin agriculture, and quality foods. Since 1985 Rechek’s Food Pride has been serving the Beaver Damn area. Their most famous of offerings is their Grampa Rechek’s Old Time Sausage, made fresh and smoke in house every day. Try their flaky bakery items made from scratch. Buy fresh produce and grocery items at the Lake Mills Market. They are constantly offering weekly specials. They partner with many locally owned stores in the area to fill the store. They sell over 1,800 items produced in Wisconsin. Shopping local is what it’s all about. If the name isn’t obvious enough, Fresh Madison Market is the best place to get fresh food and grocery items in Madison. Fresh is the best, that’s why the store is always stocked. Fresh produce, sushi, deli, seafood, salad, sandwiches, and paninis. Family owned and operated since 1975, Viking Village Foods is the premiere grocer in Reedsburg. The shelves are stocked with quality meats and produce that are locally grown right in our backyard—Wisconsin. Locality is the main mindset at Viking Village Foods. They are committed to making a difference and serving the Reedsburg community. There are over 20 Gordy’s Market stores around the state. However, they are only located within Wisconsin. With the best deli, bakery, produce, floral, meat, smoke house, spirits, and local growers departments make Gordy’s one of the top grocery contender in the state. Proudly serving the Elroy area, Hansen’s IGA is loved by many. Not only are they a top-notch grocery store but their interactive website offers coupons, recipes, health and wellness, a meal planning section, and a wine pairing section. How cool is that?! Medford’s County Market’s popular departments have thousands of residents coming back for more. Check out the fresh bakery items, deli selections, blooms, meat and seafood, produce, spirits, and natural food aisles. The best of the best selection can be found on the shelves at Medford’s County Market. Open 24 hours a day, Nelson’s County Market is open to provide you with the best products anytime you need them. The family owned business knows how busy life can get. They know the hardships of finding balance between tasty food and healthy meals. Stop in today or tonight—whenever is convenient for you.